Use of the Magicians.co.uk website is governed by these Terms and Conditions. If a user does not accept these terms and conditions they should exit the Magicians.co.uk website immediately. Specific attention is also drawn to the notice concerning copyright and the Privacy Statement. Magicians.co.uk may at any time revise these Terms and Conditions without notice. It is up to the user to regularly review the Terms and Conditions in case there are any changes. Continued use of the Magicians.co.uk website after a change has been made is to be treated as acceptance of that change by the user. While Magicians.co.uk tries hard to ensure that its websites are functioning correctly and are as accurate as possible, this will not always be achievable and therefore the following disclaimer applies. These websites are provided "as is" without any representation or endorsement made and without warranty of any kind whether express or implied, including but not limited to the implied warranties of satisfactory quality, fitness for a particular purpose, compatibility, non-infringement, accuracy and security. Magicians.co.uk does not guarantee or represent that the content and/or facilities available or accessible via these websites will always be accurate, complete or current or that access to the websites will be uninterrupted. Magicians.co.uk expressly disclaims all liability for any direct, indirect or consequential loss or damage occasioned from the use or inability to use these websites, whether directly or indirectly resulting from inaccuracies, defects, viruses, errors - whether typographical or otherwise, omissions, out of date information or otherwise. Accessing these websites and the downloading of material from them is done entirely at the user's own risk. The user, and not Magicians.co.uk, will be entirely responsible for any resulting damage to software or computer systems and/or any resulting loss of data even if Magicians.co.uk has been advised of the possibility of such damage. These websites may contain links to other websites over which Magicians.co.uk has no control. Such links are supplied solely for the convenience of users. Magicians.co.uk is not responsible for the contents or reliability of the linked websites and does not necessarily endorse the views expressed within them or the organisation or persons providing them in any way. Magicians.co.uk does not guarantee that these links will work all of the time and we have no control over the availability of the linked pages. Providers of other websites may place text-based links to pages on the Magicians.co.uk websites without seeking prior permission. However such links must not open Magicians.co.uk website pages into frames within another website. Pages from the Magicians.co.uk website must be loaded into the user's entire browser window. 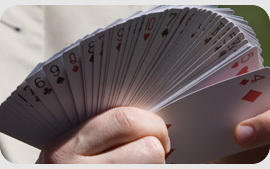 The use of the Magicians.co.uk logo or any other images must not be used for promotional or linking purposes unless prior approval in writing has been given. Please contact Magicians.co.uk for further details on obtaining such approval. These terms and conditions will be governed and construed in accordance with the laws of England and Wales. The courts of England and Wales shall have exclusive jurisdiction over disputes between a user and Magicians.co.uk arising out of the access or use of these websites. If any provision in this Agreement is invalid or unenforceable, the remaining provisions will continue in full force and effect. Omission by Magicians.co.uk to exercise any right under these terms and conditions will not constitute a waiver of such right unless expressly stated by Magicians.co.uk in writing. Unless expressly stated the copyright and other intellectual property rights (such as, design rights, trademarks, patents etc.) in any material provided on the Magicians.co.uk website remains the property of Magicians.co.uk (or as the case may be another rightful owner). Magicians.co.uk owned material on these websites including text and images, may not be printed, copied, reproduced, republished, downloaded, posted, displayed, modified, reused, broadcast or transmitted in any way, except for the user's own personal non-commercial use. Permission for any other type of use must be obtained - contact Magicians.co.uk for details.